Where you choose to play is only the first question you’ll need to answer when it comes to playing at live casinos and the second question is who you should be playing with! 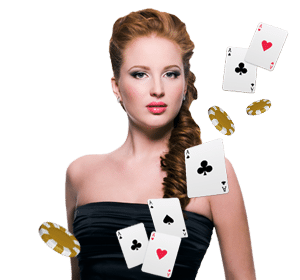 Within each casino there are separate gaming developers who each bring out their own versions of Live Casino games which are all a little bit different from the next one along. This added choice is of course only ever a good thing for you the player as it makes finding what you’re looking for all the easier. Even if there is a lot of added choice not all games are made equal and there are most certainly some games which are objectively better than others at the moment. This isn’t a slight on the gaming developers we don’t talk about today as live casinos and their games are still relatively new so some developers are still setting up and finding out just what players are looking for. That said, to save you all the hassle of finding out which ones aren’t really worth your time right now we’re gonna give you as rundown of what we think are the three best software providers of games right now. Not only are these providers the best right now, but they have more than enough variety between them all to keep everyone satisfied. There can ever only be one developer we begin talking about and that’s NetEnt who are quite easily the most popular gaming developer on the market. 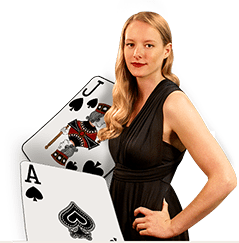 Most of this success is largely down to the incredible online and mobile casino games they’ve been offering players for the past couple of years however a good part of that will be for the live casino games themselves. There’s just over one in three casinos offering NetEnt’s games to their players right now and this number only seems to be increasing by the day too so if you would like to take the easy route then you won’t have any trouble finding NetEnt! Of course there’s far more to NetEnt than them being easy to find as that clearly wouldn’t be enough to get players interested; they’re also perfectly built for new players on to the scene. If you’re a little nervous about trying out some new software then NetEnt’s live casinos are going to be the place for you as their interface is intuitive to use and making your way around the site couldn’t be any easier! NetEnt’s main colours are emerald and black and so if you see dealers and tables dressed in this then it’s more likely than not to be NetEnt. NetEnt are also able to offer their games in 25 different currencies and languages so not only are their casinos easy to use, but they also cater to just about everyone! If you’re not actually too bothered about learning how to use live casino software and your main interest for playing at live casinos is for the added selection of games made available to you then it’s Microgaming’s direction that you’ll want to be heading! There’s probably no gaming developer that’s been around in the online casino world longer than Microgaming who can boast being there at the very start of the live casino era! Surprisingly this was nearly 2 decades ago now and throughout that time Microgaming have been improving their software and gaming experience year after year which is why it’s not surprising they’re here on our list. Their experience in the industry has allowed them to excel in customer service however we’d have to say it’s their collection of games that are the real selling point for us. It goes without saying that Microgaming’s games are packed with quality however when you’ve got all of the main games plus their many variations on offer; some of the lesser played ones such as Poker and Baccarat and their variations, as well as some relatively unknown games such as Sic Bo on offer you’ll never be left wanting again which is why we’d recommend Microgaming to anyone looking to branch out a little. The final software developer we have for you here today is Playtech who can be thought of as the creme de la creme of the live casino world. There’s a lot of money that’s been invested by Playtech over the last few years to make their games the best and we’d be hard pressed to say they’ve not achieved that. The game selection isn’t as wide as Microgaming or NetEnt’s however it’s certainly a case of quality over quantity this time especially when it comes to their VIP tables! The VIP tables are the main reason to be playing at a Playtech casino in our opinion as they truly offer players the ultimate gaming experience. These tables require you to play at slightly higher stakes than average however in return Playtech will give you a private game where you can get a far more personal touch to your gaming due to the lower number of players playing in these games. If it’s only the classics you’re interested in playing and you want nothing but the best then Playtech and their VIP tables are the place to be! Overall we’d have to say you can’t really go wrong no matter which of the three providers you decide to play with as they’re all very good and the best out there at the moment. Truth be told we actually mix and match between all three of them depending on what we’re looking for at the time and our mood. If you’re new to the industry we’d suggest you start with NetEnt who have a great interface which is ideal for newer players. If you’re looking to play all the games you can’t find down your local casino then a trip to a Microgaming live casino would be our suggestion, and if you want nothing but the best then you don’t have to look any further than Playtech!